Award this Halloween Rising Star Trophy at your next costume party or to your Halloween party games champion! 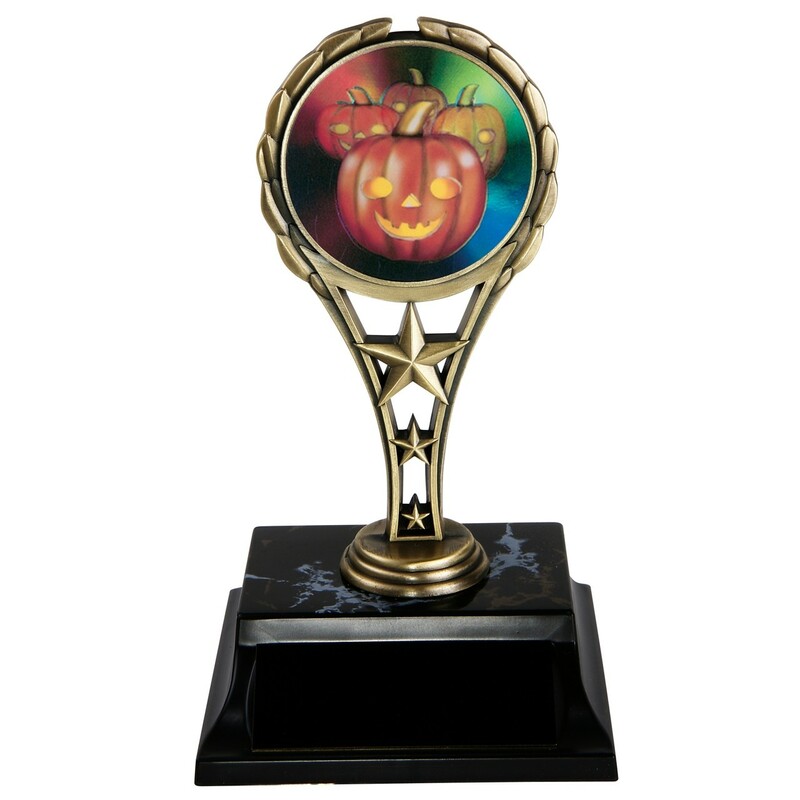 At 6" tall, it features a friendly jack-o-lantern holographic mylar inside a gold rising star trophy figure. Includes 3 lines of engraving.